While it's not right to judge a book by its cover, I think a fine dining restaurant should definitely be judged by its amuse bouche. The Tasting Room's not just excites us more with the real meal ahead, it also summarizes what the entire meal is: a gastronomic journey. 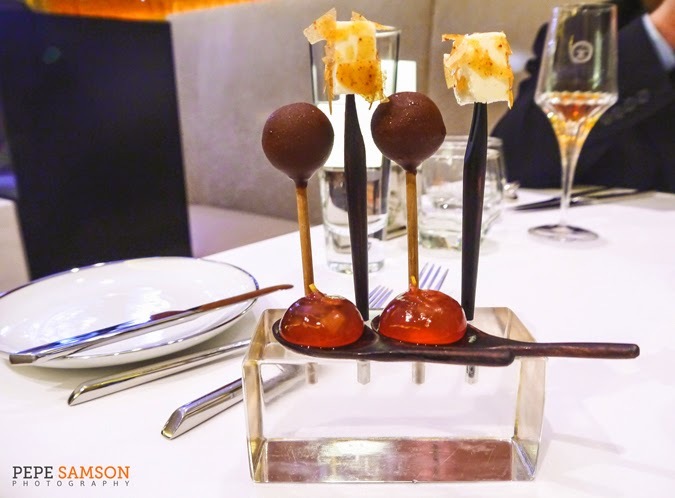 Chef William Mahi’s creation is a trio of goat cheese coated with caramelized pork, foie gras lollipops, and limoncello jelly. If this is how all starters taste like, I don’t want to move on to the mains ever. Anybody turned off my lamb must try The Tasting Room’s French Lamb Saddle. This smoky lamb has the flavor of what seemed like rosemary, a burnt taste that was addictive instead of repulsive. This dish comes with a side of turnips and the most delicious truffle macaroni I’ve tasted. Something missing? 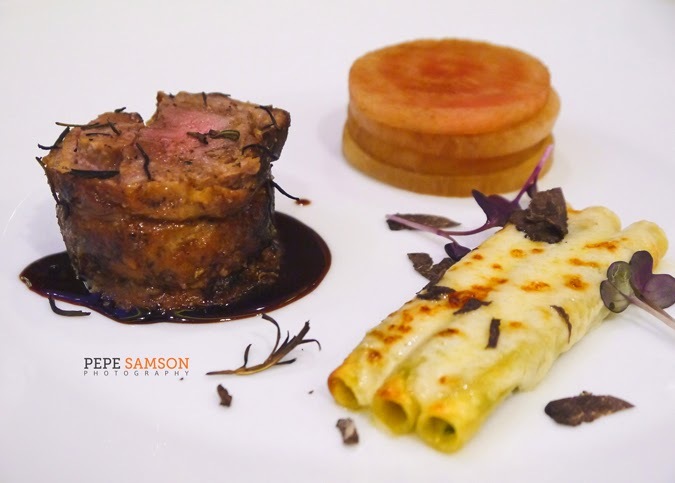 Worry not, this lamb comes with shaved truffles as well! 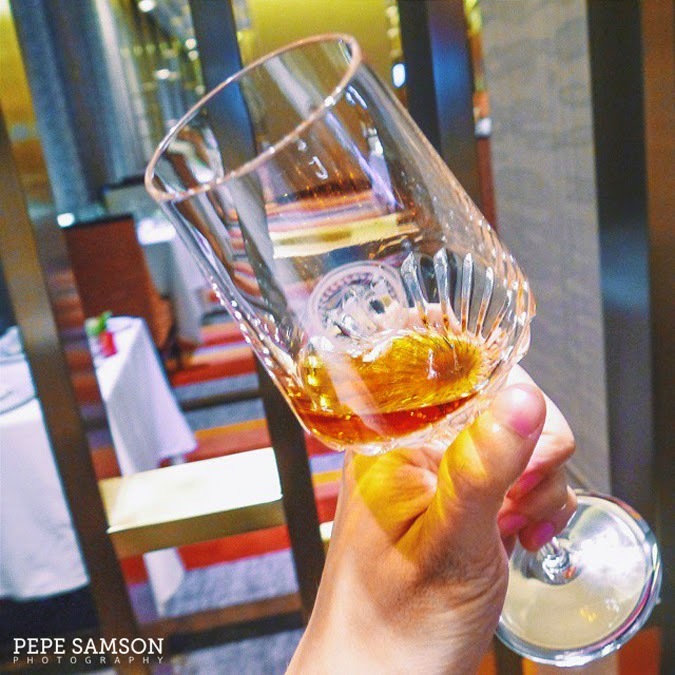 The oldest drink (140 years) I’ve had to date, the LOUIS XIII is a fine cognac that has been passed from generation to generation among the Remy Martin owning family. A product of painstaking labor, skill, and tons of patience, this blend is the smoothest alcohol I’ve ever tasted, with flavors that are complex, assertive but not persistent. I must say I relished every sniff and sip of this drink—why wouldn’t I, it’s worth almost $150 per glass! If you find yourself getting fed up with all the root crops and veggies in Batanes, head over to Fundacion Pacita for a Western-inspired meal created with local ingredients. 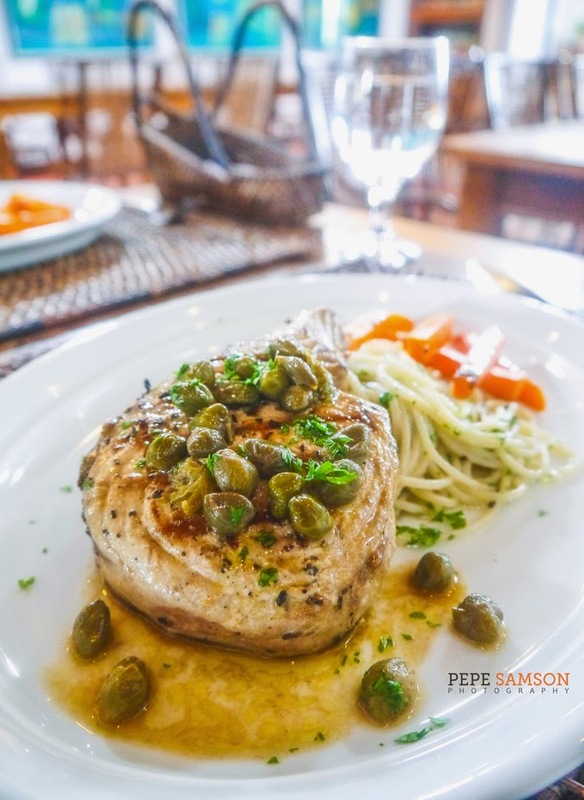 Call the restaurant in advance to know what's on the menu for the day, and if you see this Grilled Tuna Steak with Anchovy and Caper Sauce on it, order it! The fish is humongous, incredibly fresh, and still moist, with the sauce giving it an acidity that is super addicting. It comes with a side of garlic pasta as well! How many times have I visited a mall trying to choose a restaurant I haven't tried, only to end up at Yabu? As frequently as you do? Great! 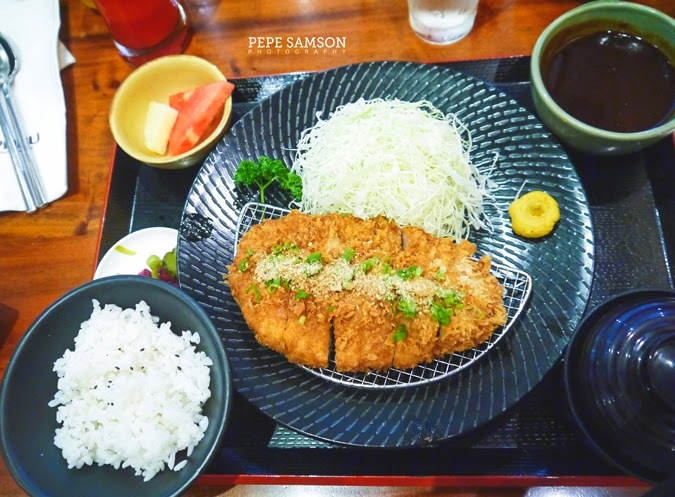 My favorite is the Miso Katsu Set: Yabu's signature katsu (I like Hire), served with the usual unlimited Japanese rice, miso soup, cabbage, pickles, fruits, and ... the thing that makes this variant special, the thick, sweetish Miso Sauce! I find it not overwhelming at all, but if you do, alternate between this and Yabu's katsu sauce with crushed sesame. Or, better yet, request for some ponzu sauce because everything seems better with ponzu. If you’re in the North and eager for some spice, dash to the newest branch of Gostoso Piri Piri in UP Town Center. The casual Portuguese restaurant offers only a small menu—a brilliant move as one should only have eyes for their specialty: piri piri chicken! 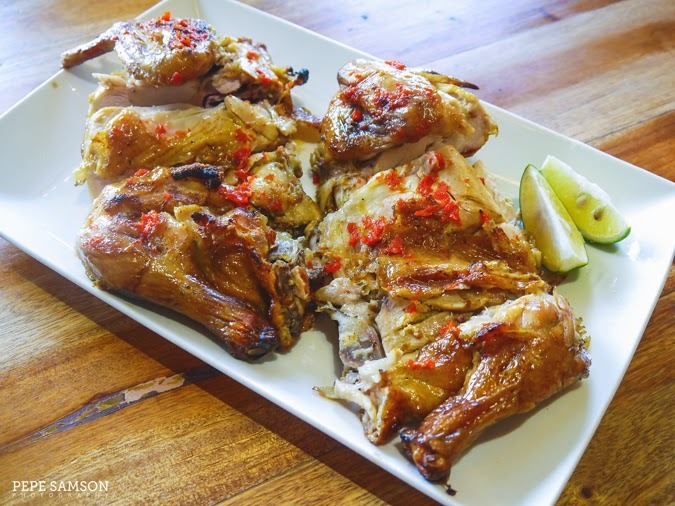 The special marinade renders this roasted chicken dish a unique subtly tangy and spicy flavor, and keeps it moist and juicy. Already yummy on its own, it becomes even more delicious when doused with any of the 2 signature piri piri (red chili) sauces—but make sure you get the spicier one! The colors alone of this dessert toast are enough to tempt you like crazy. 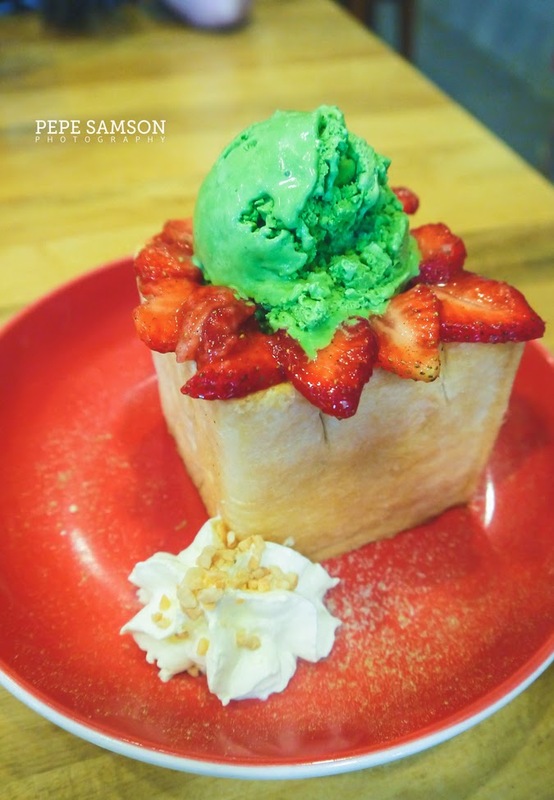 Imagine Café Shibuya’s fluffy, buttery toast, laden with sliced strawberries then topped with a scoop of matcha ice cream. The tart berries and earthy matcha see like a weird combination at first—but it works. If this doesn’t convince you, maybe this will: everyone else in the table, who ordered the Hazelnut Ferrero toast, were all digging into MY plate. 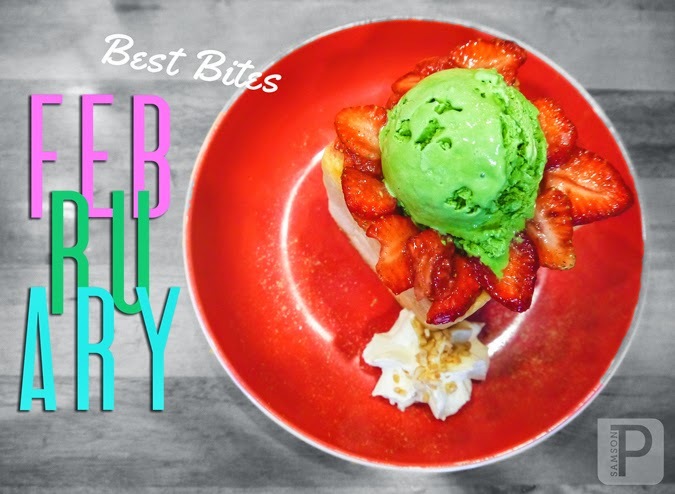 Read also: Cafe Shibuya, Dessert Toasts and More! A healthy drink in a Best Bites post? Well, why not? 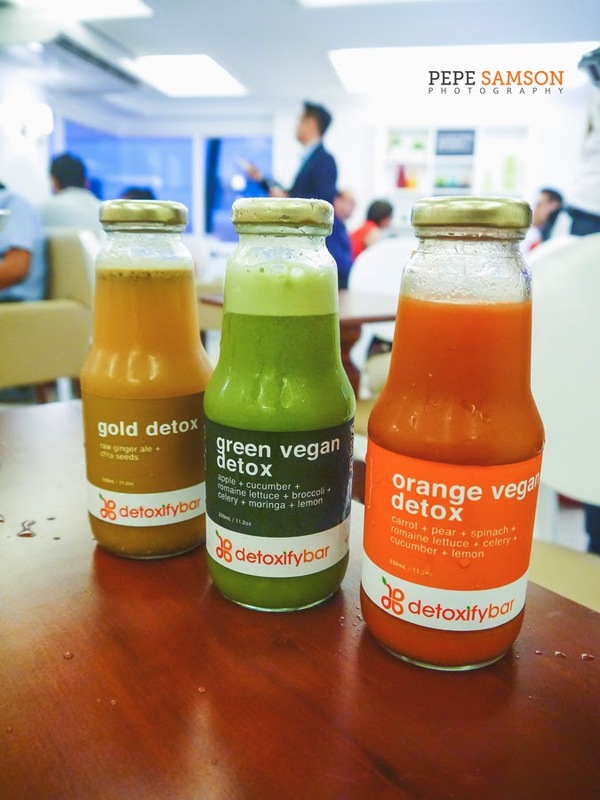 Detoxify Bar’s Gold Detox drink just might be my favorite among all of their concoctions. A simple drink composed of raw ginger ale and chia seeds, it’s not only healthy but also refreshing and delicious! You’d be amazed at how organic ginger tastes compared to ordinary ones—as if it’s smeared with sweeteners. This may be a sad truth to people who prepare their own juices at home, but I don’t think you can replicate this one. 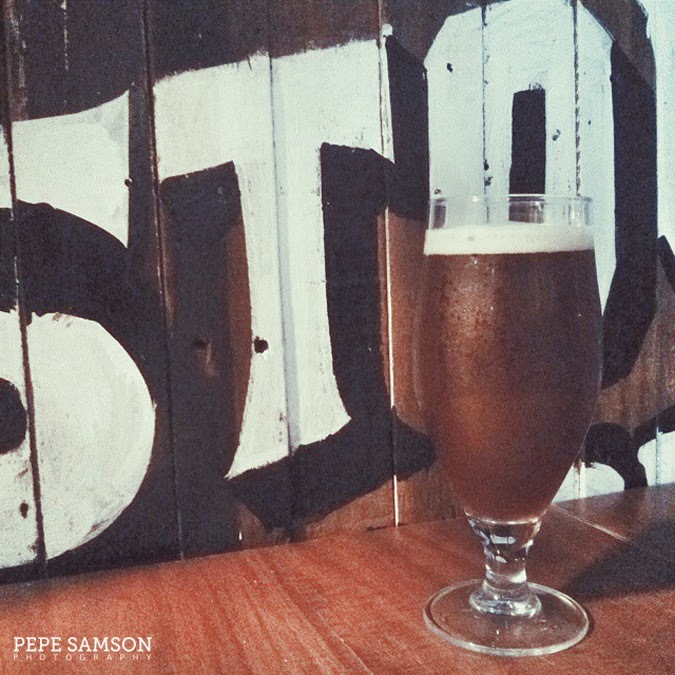 I always make it a point to try The Perfect Pint’s homemade brews when I’m around, and luckily one night I chanced upon the Strawberry Fields Blonde Ale (4.5% abv)—a light, malty beer with a hint of strawberries. It’s something that’s not too light and not too strong either, perfect for long talks or my idea of an “all-nighter”: the period from the time I arrived at the shop up to the time I’m forced to leave because the staff is already cleaning out. Kirkland’s chocolate jar is any dessert lover’s dream come true. Not only is it filled to the brim with imported chocolates from all over the world, it’s also a collection of the best you will ever taste. My favorites are the Swiss Delice and Mini Truffini. Delice is milk chocolate filled with a dark chocolate ganache, liquor and cocoa, whereas Truffini is a maple truffle made of milk, vanilla, maple, milk chocolate, and chopped nuts. Yum! What were you best bites last month?